This event will feature a Lasagna Dinner at 6:00 pm, and the Talent Showcase will begin at 6:45 pm. 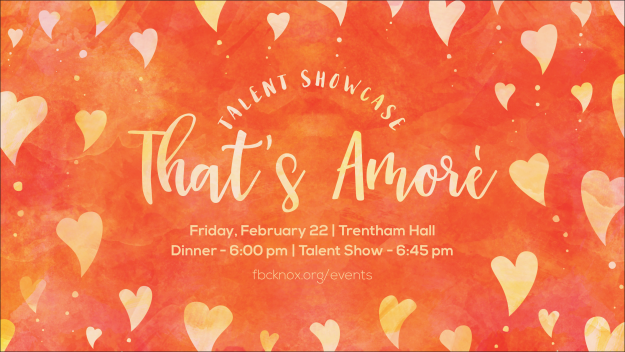 Ticket sales for the That's Amore' will start on Sunday, February 3. The cost will be $6 for adults, $3 for children. Participants do not need to purchase a ticket.